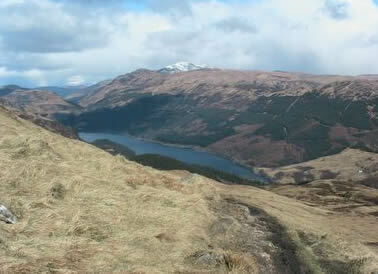 This is a compact circular walking route up one of Scotland’s most prominent and accessible small mountains, north-west of Callander and beside the popular Trossachs area. It is ideal as a short winter hike, or as a fairly easy introduction to walking in Scotland’s mountains. There's a good hiking trail to the top. It was just right for us on this occasion, providing a taste of winter conditions but with no real hazards. A longer route is possible north along the ridge to Ben Vane, although it’s not so easy to make it into a circuit unless climbing from Brig o' Turk.